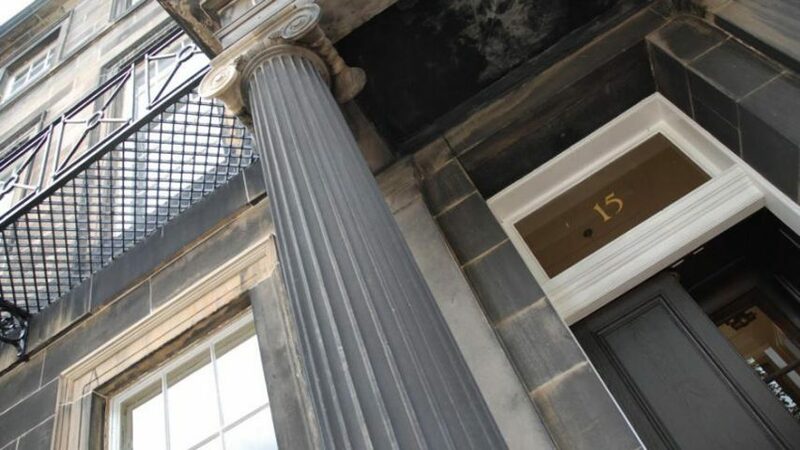 Neil Baxter has resigned as secretary and treasurer of the Royal Incorporation of Architects in Scotland, after more than 150 architects accused the organisation of financial mismanagement. The RIAS said it had agreed to a request from Baxter to step down with immediate effect. He has been with the organisation for 10 years. "Neil will be standing down as of today and the senior management team at the RIAS will continue to deal with all matters relating to the business of the incorporation," said RIAS president Stewart Henderson in a statement. Baxter's resignation comes just days after 150 Scottish Architects signed an open letter calling for a review of Scottish architecture's professional body. The group of architects, which calls itself A New Chapter, accused the RIAS of having "become increasingly secretive and autocratic". Many of the letters' signatories were RIAS members, including Jude Barber, Malcolm Fraser, Ben Addy and Graeme Massie. In the letter, A New Chapter publicly demanded that the RIAS release a breakdown of senior employees wages, bonuses and benefits. They also called for un-redacted copies of reviews into salary benchmarking, probity, and governance be released. Speaking to Dezeen earlier this week, Fraser said he and his peers were unhappy with a perceived lack of financial accountability and transparency within the RIAS. A New Chapter had called for the organisation to swap its "old establishment" with a leadership that better represents its diverse membership. The group wants members to given the right to elect the RIAS president, rather than the holder of this position being decided by a panel of existing council members. In a letter responding to these criticisms, current RIAS president Stewart Henderson said that RIAS members had the opportunity to review the Strategy Document through their local Chapters.